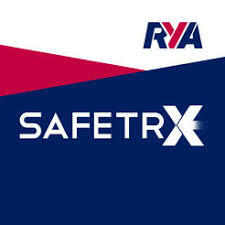 The RYA SafeTrx monitors your boat journeys and alerts emergency contacts should you fail to arrive on time. RYA SafeTrx is available online or as an app for both Android and Apple iOS and allows you to track your journey (in UK territorial waters) on your phone. RYA SafeTrx provides all recreational boat users, particularly dinghy cruisers, PWC users, RIB users, canoers, kayakers and smaller boat users with an easily accessible and simple to use means that can inform HM Coastguard of their voyage plans and dynamic location in the event of distress. Please Note: The CG66 (HM Coastguard Safety Identification Scheme) has now been ‘retired’ and this system seems to be the replacement/alternative.